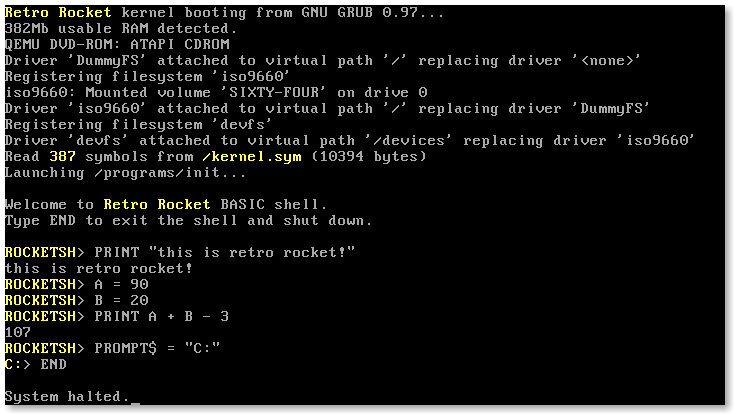 Retro-Rocket is a niche Operating System. 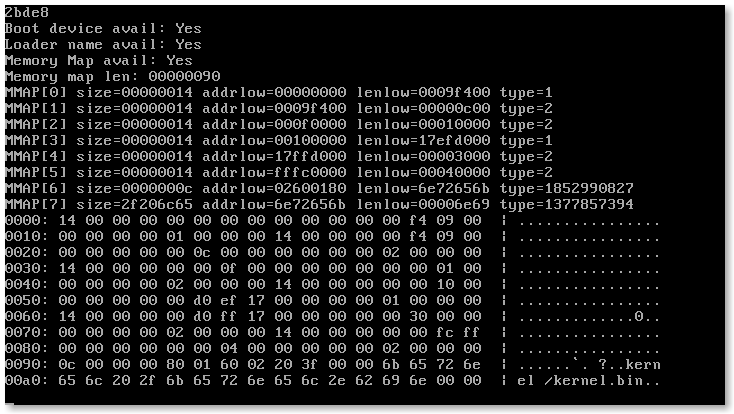 It is created to be like BBC MOS 3.20 but on PC hardware with modern concepts, such as multitasking. 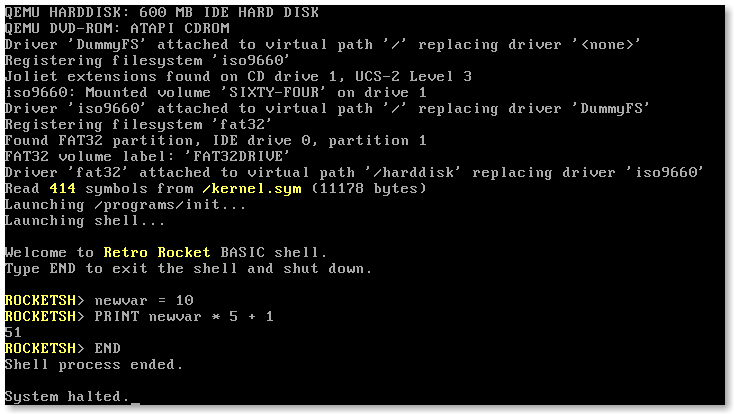 Retro-Rocket’s default shell is an extension of the BBC BASIC language. 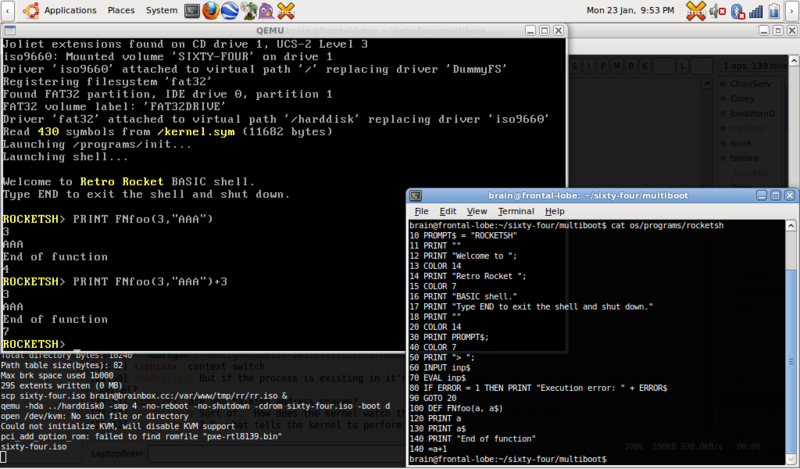 The shell is built for 32-bit Intel systems, and supports multi-tasking and modern file-systems. The operating system is currently usable by interested developers. 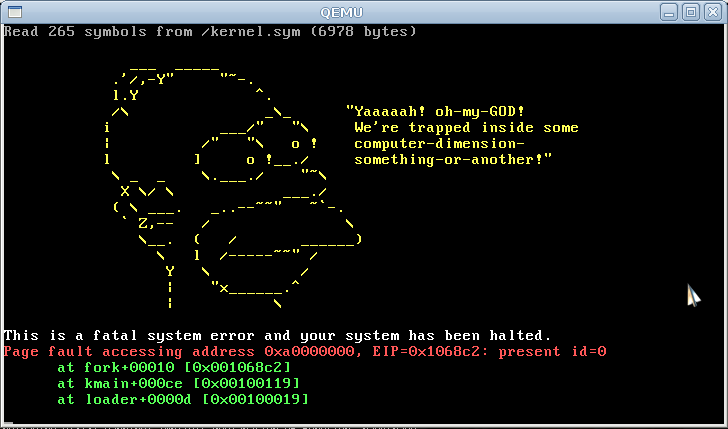 You can use a real PC or an emulator such as QEMU. 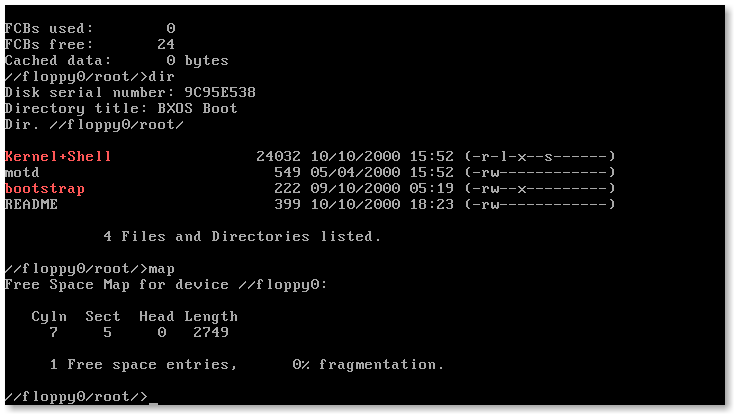 Small FAT32 hard disks and CD ROMs are supported. 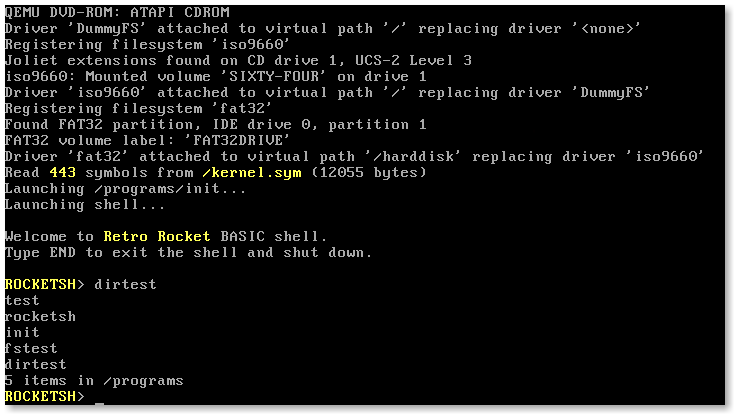 Your programs may be placed on the FAT32 partitions via external programs or operating systems and then executed under Retro-Rocket.